Alan Prescott was an international rugby league icon, who gained the utmost respect from his on-field deeds and inspirational captaincy. In 1956, Alan was at the pinnacle of his career as captain of his club, county and also his country. The Challenge Cup Final was a Roses Battle royal between St.Helens and Halifax. Just before the final whistle, Prescott took a gem of a pass from loose forward Vince Karalius to plunge over for a memorable try. 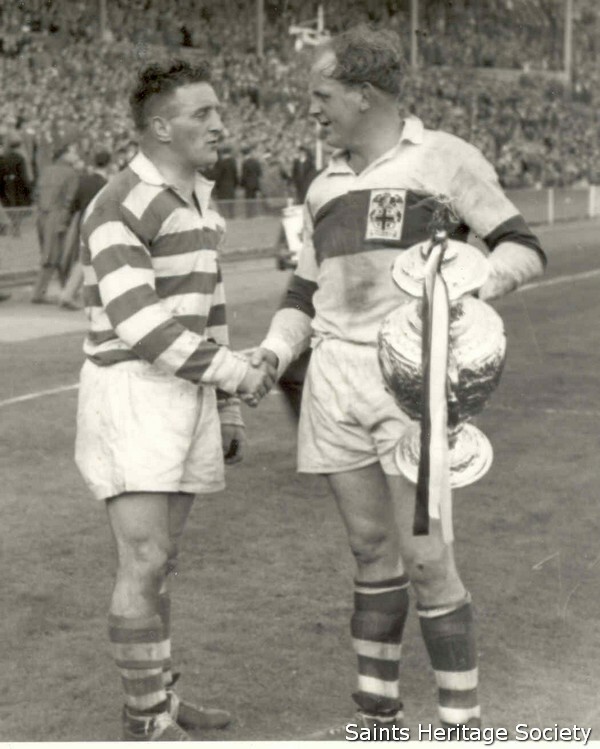 Alan became the first Saints’ captain to lift the trophy and was awarded the Lance Todd Trophy into the bargain! Born in Widnes in 1926, Alan showed terrific mobility, good hands and was ruthlessly efficient in the tackle. 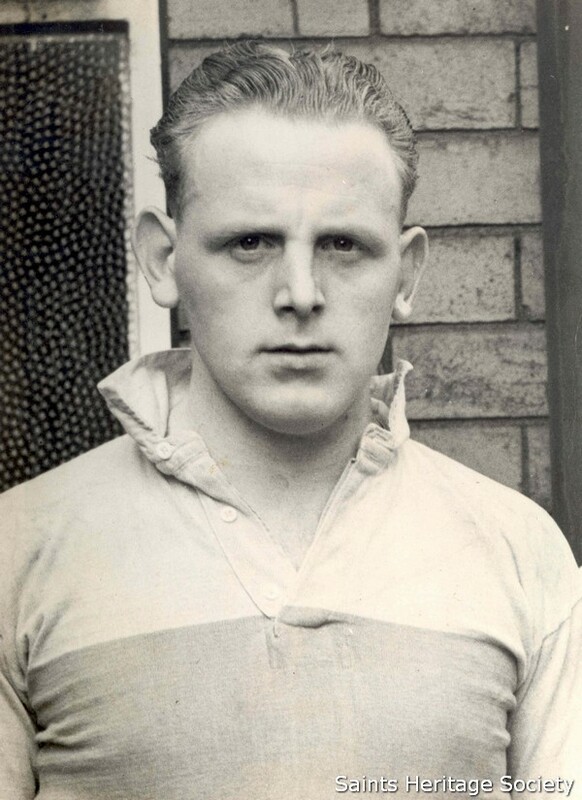 Alan made his international debut against New Zealand in the series-clinching 20-19 victory at Swinton in the Second Test in November 1951 and was a permanent fixture in the British team for the next eight years. The arrival of Coach Jim Sullivan galvanised his career at club level, as the Saints went on to lift the Championship in 1952/53 and the Lancashire Cup against Wigan the following season. Prescott skippered the side to their second title success in 1959, after a magnificent spectacle of open football in the clash with Hunslet at a packed Odsal Stadium. Yet the game for which Alan Prescott is remembered above all is the Second Test in Brisbane in July1958, when an injury-ravaged Great Britain side overcame Australia 25-18 and kept the Ashes series alive. Prescott will always be remembered as the Captain who stayed on the field despite breaking his arm in the fourth minute. The injury signalled the end of Alan’s remarkable 28 Test match career, including two Australian Tours (1954 and 1958) and one World Cup campaign (1957). His heroic efforts at Brisbane paved the way for a record-breaking 40-17 success for the Lions in the Third Test decider in Sydney. At the end of the match, the team paid a fitting tribute to Prescott’s courage by carrying their injured skipper round the ground with the Ashes trophy.